Having acquired Carnation Designs back in 2016, Ring has recently brought the vehicle conversion company under its own brand name. CVW speaks to the business about how it can provide total support for fleet operators and mobile technicians in need of vehicle conversions. Q. When was Carnation brought under the Ring brand, and why? Ring acquired Carnation Designs in September 2016 to further enhance and accelerate the business it was already doing in the vehicle conversion market. In spring 2018, Carnation Designs was merged with Ring’s vehicle conversion division to create one highly specialised vehicle conversion brand – Ring Carnation. With a team consisting of specialist sales representatives, automotive electrical experts and electronics, software and technical sales engineers, few companies can now match the capability of Ring Carnation. Q. What does Ring Carnation now offer to fleet operators, and how does this differ to other conversion companies? The difference between Ring Carnation and other suppliers to the vehicle conversion market is the breadth of product range it can offer, as well as the specialist knowledge and aftersales support available to customers. Ring Carnation provides customers with a ‘one-stop shop’ for conversion electricals, offering genisys control, on-board power, lighting and camera systems. In addition to the benefits of a wider range, we are also connecting products from the two families using intelligent software configuration. One example of this is the development of a data connection between Carnation’s controllers and Ring’s latest inverters, so that genisys can monitor inverter health and alert users to potential issues, such as providing over-current warnings. The longer-term goal for Ring Carnation is to develop an entire system of intelligently connected power, lighting and safety products, with genisys II at its core. Q. How about for workshops? Can you offer conversions to suit mobile technician needs? The Ring Carnation range offers a variety of products that can be selected and adapted depending on the complexity of the application. From on-board power, to work lights and warning lighting, we have a vast array of products that aim to transform vehicles into mobile work stations. For mobile technicians, it is important that work can be carried out efficiently and safely. All of Ring Carnation’s products are designed with those two things in mind. Q. What challenges are there for vehicle conversions? terms of using electric vehicles appropriately/where their performance characteristics work best, and not just electric vehicles for electric vehicles’ sake. In the current vehicle conversion industry, increasing price competition is driving down the cost of conversions. Both fleet managers and vehicle converters need to make sure that build quality, robustness and total life cost is not being disproportionately compromised for a lower up-front cost. Q. What is the latest technology Ring Carnation is adding to conversions? And how does this help with health and safety/compliance procedures? Ring Carnation’s genisys control system has consistently been the market leader for ambulance conversions in the UK since its launch in 2007. Since then, it has been perfected and improved, with new features and integrations. Over the last two to three years, feedback from converter and end- user customers has been combined with innovation ideas from the Ring Carnation team. 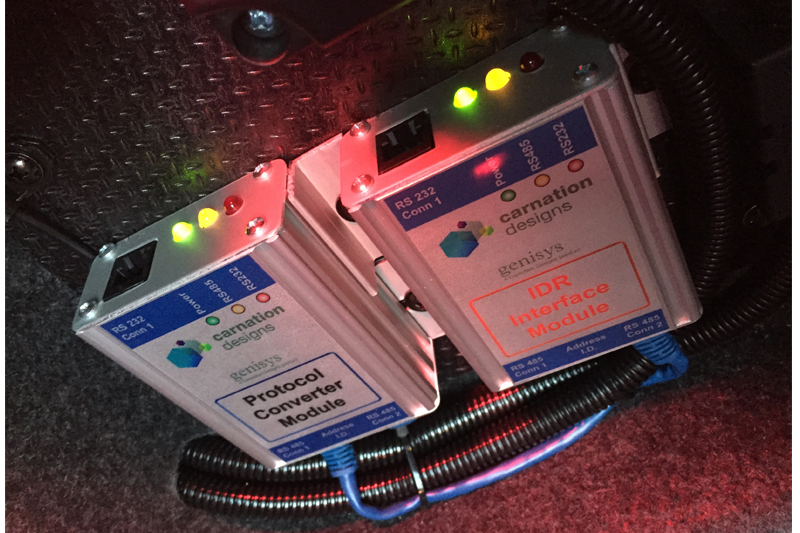 This has led to the next generation controller, and Ring Carnation is now testing prototypes for the first product from the new ‘genisys II’ suite of modules. The new ECU will take all of the existing genisys ECU’s features and enhance them. There will be more analogue capability, bigger program capacity, faster processing, USB program upload, new diagnostic features and improved operating efficiency – whilst maintaining a cost effective price point. During 2019-20, Ring Carnation is set to introduce multiple genisys II modules, including remote communications, touchscreen and Android ‘app’ features. Many of these features are geared to preventative maintenance and remote diagnostics to make genisys systems the most dependable, configurable, and ‘fleet- management-friendly’ of their kind.